This weekend I headed out to Ithaca, NY to visit my sister! She and her boyfriend, Collin, live in a great house in a tiny town called Newfiled, just outside of Ithaca. Teddy and I left work a bit early on Friday to make the 6ish hour drive. By the time we landed I was very ready for bed! After a quick cup of tea and a chat, we headed to sleep. Anne and Collin are known for their fantastic breakfasts, so Teddy and I woke up ready to dig in! Unsurprisingly, they didn’t disappoint. To get things started, we made lattes. Yep, Anne and Collin have a super fancy bean grinder, an espresso maker, and even a milk frother. They take their coffee very seriously! The lattes held us over nicely while we made the rest of our feast: fresh squeezed orange juice (yes, they have a juicer), fried eggs, gourmet sausage for the non-veggies, bananas, and more fresh coffee. Like I said, they’re basically pros. It was an awesome way to start the day! Our next adventure took us to a local mountain, Greek Peak Resort. They have an awesome Nordic Center where we spent quite a few hours enjoying the beautiful weather and exploring the area on cross country skis. I used to go cross country skiing quite a bit when I was younger, but haven’t been for years, and Teddy had never been. Luckily the trails were pretty friendly and Anne and Collin are great teachers. We had a blast gliding around for a few hours and enjoying the sunshine before heading back home. After we cleaned up a bit, we headed to downtown Ithaca to try a new restaurant. Coltivare is associated with a local culinary school so it’s run by the students. I feel great about supporting such a wonderful mission, and the food was outstanding! We started with a surprisingly tasty grilled lettuce appetizer, I enjoyed a risotto with saffron and mushrooms which really hit the spot after a cold day outside. We all shared a lovely bottle of wine, and to finish the meal I enjoyed a fresh sugar doughnut with coffee gelatto. It was all phenomenal! I could have rolled home I was so full, but man it was amazing. On Saturday we played the first of what became many games of Settlers of Catan. Do you know this game? It was really easy to learn and we quickly got really sucked in! On Sunday morning we headed out for a lovely brunch at the Carriage House – known for having the best brunch in Ithaca! After enjoying one of the best omelets I’ve had in recent memory, we wandered around the shops downtown. Anne knows them all really well, so while the guys grabbed some groceries and explored the ice shelf (very exciting stuff…) we dropped by a few stores. Unfortunately my favorite used craft supply store wasn’t open, but we poked into a great sewing store that I loved! Very inspiring. Our afternoon consisted of a few more games of Settlers of Catan before making another lovely feast for dinner. This time we did mashed cauliflower, excellent grilled tuna (yes, Collin grills year-round even though we were in upstate New York – he is dedicated), a huge salad and roasted green beans. Phew! It was another huge and extremely lovely meal, all topped off with a few bottles of fancy beer that Teddy and I brought to share. We watched Garden State while we ate, and all agreed it was a thoroughly confusing movie, but the soundtrack was great! On Monday after one more great breakfast Teddy and I hit the road again to head back to Massachusetts. Unfortunately it was a fast visit, but Anne and Collin always show us a great time when we head out! Hopefully we’ll be able to head out sometime in the spring! Ever have one of those weeks where you don’t know what happened to the time, but there isn’t any of it left? This week is one of those weeks. I have a busy weekend on the books. I’m very excited, but it means that I have seemingly far less time to get things done, and that’s lead to a bit of frenzy now that the weekend in approaching! On Tuesday I tutor a lovely local high school student, and after that headed over to the library. They didn’t have the book I was looking for, and I ended up spending far more time that I anticipated browsing the stacks. I ended up coming home with Behind Beautiful Forevers, and so far it has been extremely compelling. I’ll be sure to give more detail when I’m done with it! On Wednesday evening Teddy and I did our typical programming lesson – I’m trying to keep my programming skills fresh, and Teddy wants to learn some new languages. We went to our favorite local cafe, and by the time we came home I had just enough time to get my things together for the next day before I crashed into bed. In lieu of my typical Thursday night knitting, I decided to stay home and get some errands done. I think it’s finally time to take my Christmas tree down. End of an era – it’s lasted far longer than I expected! This post is a bit scattered, but to suffice to say things have been hectic, but in a good way. Any plans for the upcoming (maybe long) weekend? I have decided to undertake a new project in an effort to better understand our world: learn a few facts about each and every country of the world. I’ve always loved geography, and have a strong love for maps (you should see the walls of my room!). In addition, Vexillology (the study of flags) is of great interest to me. I think it combines my excitement about demography, history and wanderlust into one great big excited-about-the-world package. 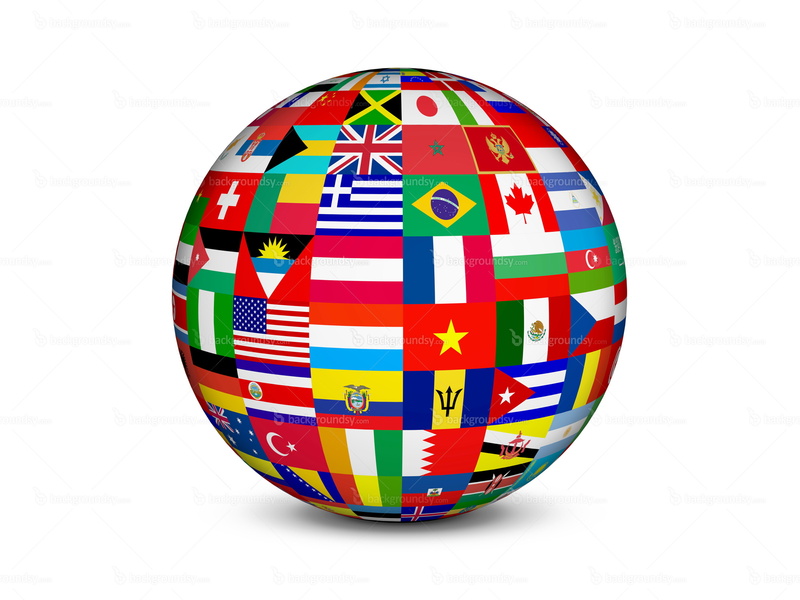 Anyway, the goal is simple: to learn a little bit about each country of the world – it’s history, the population, it’s political structure, where to find it on a map, and of course, it’s flag. Why? Because why not. I want to be a better citizen of this world, and this is the first step. In case you’re wondering, I’ll be using this list to base my project off of. It’s nothing political, we’re just going to stick with the crowd sourcing model. And just to throw you off a little, we’re going from the bottom, up. See you tomorrow, Zimbabwe! Have you heard of Area Four? It’s a super popular restaurant in the Kendall Square area of Cambridge. I’ve been hearing a lot about it lately, so when we were looking for a place to have dinner on New Years Eve, Area Four seemed like the perfect choice. The verdict? Decent. We went with a group of 6 people, and all of us agreed that the inside space was very cool. The bar area was comfortable, there were loads of windows, and the tables were on cool sliding bars so were very convertible. All of the hype around the restaurant focused on the pizza and the excellent beer selection. While the drink selection was nice, I wasn’t super blown away with the options. I enjoyed a nice double IPA, and our friends all tried interesting drinks. Overall it was good, but not incredible. I was unfortunately a bit disappointed with the vegetarian options for pizza, so decided to go with the mac and cheese for my main meal. It was very good, but again didn’t blow me away. Everyone else enjoyed various pizzas, and all of them looked very good. I’ve heard that the crust is particularly special, but unfortunately I wasn’t able to try any. Ultimately I wasn’t super happy paying as much as I did for a beer and mac and cheese! While the vibe of the restaurant was fun, and it was a great place to go with quite a few people, I don’t think I’d make an effort to go back any time soon. I’m glad I went, though!